A green Crayola marker swipe on your couch might look like a masterpiece to your little artist while spelling "disaster" to you. 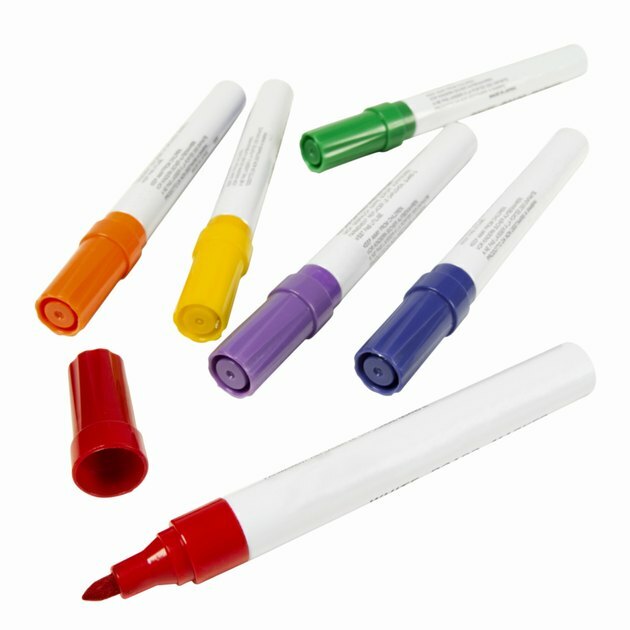 Felt-tip markers, such as Crayola brand markers, absorb into your couch's upholstery. Whether the upholstery is made of fabric or leather, the ink stain can be removed. It's important for you to use the correct cleaning supplies and techniques to isolate and remove the green Crayola marker stain without causing the ink to spread further into the upholstery. Marker stains on the couch can be a stressful discovery. Mild detergent solution helps lift a marker stain. Place 1 tbsp. of dishwashing detergent into a bowl. Add 1 tbsp. 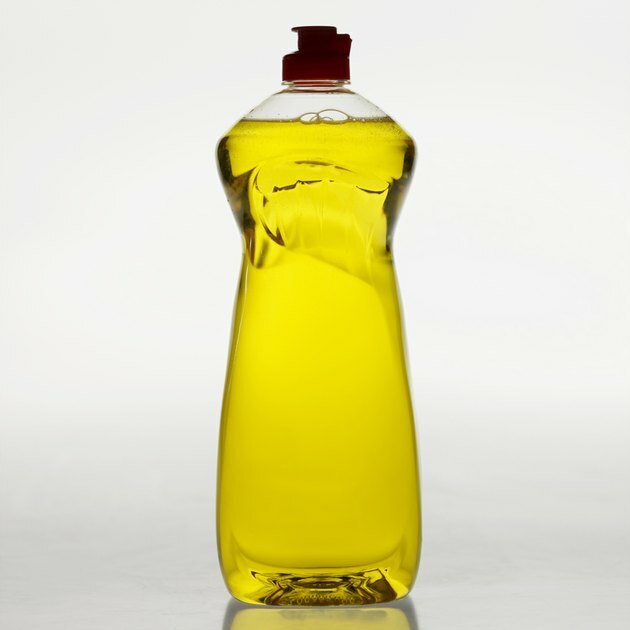 of white vinegar and pour 2 cups of cool water over the first two ingredients. Stir the ingredients together. Soak a sponge in the vinegar and detergent solution. Wring out excess moisture. Sponge the green Crayola marker stain on your fabric upholstery until the stain is moist. Allow the solution to remain on the couch for half an hour, blotting it with a cleaning cloth every five minutes to lift the marker stain. Remove the soap solution from the upholstery by repeatedly blotting it with cloth dampened with water. Dampen a cloth with rubbing alcohol. Remove the remainder of the green marker stain from your fabric-upholstered couch by dabbing at the remaining color with the rubbing alcohol. As the ink is removed, move to a clean portion of the cloth and continue to blot until the marker stain is lifted. Wet a clean cloth with water and wring out the excess moisture. Dab at the upholstery to rinse it, then lay a dry cloth over the fabric and press down to absorb excess liquid. Allow the couch to dry overnight. 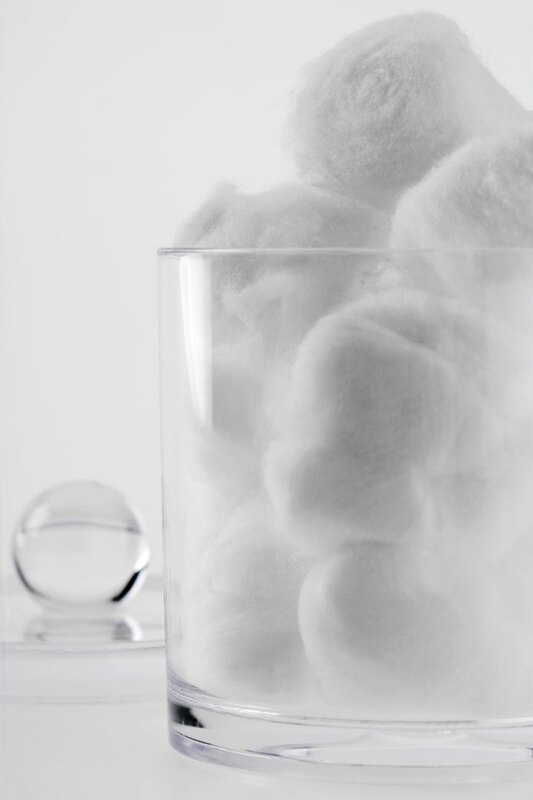 Dampen a cotton ball with rubbing alcohol. Squeeze the cotton ball to remove excess alcohol so the leather doesn't get too wet. Draw a circle around the green Crayola marker stain with the alcohol-dampened cotton ball to prevent the ink from bleeding into the surrounding leather upholstery. Cotton balls are gentle but effective cleaning tools for leather surfaces. Wipe the marker stain in gentle swipes, slowly lifting the ink from the leather. As the cotton ball becomes soiled with the marker, change to a clean cotton ball and continue to lift as much of the stain as possible. Dampen a cloth with the solution made from 1 tbsp. of dishwashing detergent, 1 tbsp. of white vinegar and 2 cups of cool water. Wash off the leather surface to remove the rubbing alcohol and any last traces of Crayola marker. Rinse the leather off with a damp cloth. Use a combination leather cleaner and moisturizer to clean your leather upholstery and replenish moisture lost during the stain removal process.